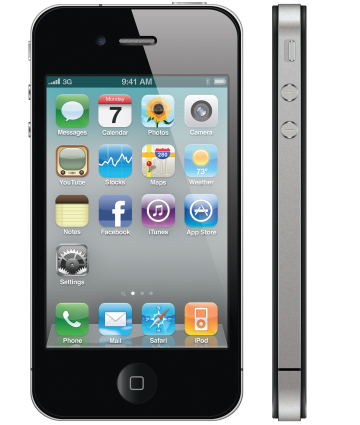 If you rent a Deluxe Phone or an iPhone, you will receive 1GB of data service. You will securely and conveniently be able to check your emails, use apps such as Google Maps and WhatsApp and browse the internet. This is extremely beneficial while outside of your hotel or apartment as free Wi Fi is not readily available nor is it a secure way to access the internet. If you need more than 1GB of data, your plan will default to the standard data rate plan of 3.63 Euro cents/MB but, you will need to add credit by going to a convenience store as adding a Mas Movil recharge voucher. *PLUS the price of one $39 credit bundle - 500 minutes of calling to Spain/US and 1GB of data (data not available for flip phone). This bundle will be in your cart upon checkout and is necessary for your service to work. Our Spain cell phone rental options are the perfect solution for anyone traveling to Spain who needs to stay in touch without spending a fortune. Cellular Abroad is the US distributor for Happy Movil, which uses the Orange network in Spain - one of the largest most reliable Spanish carriers. We offer several handsets to choose from. If you only need to make and receive phone calls, we recommend the Standard Rental which features 500 minutes of outgoing calls within Spain or to the US and free incoming calls. If you need to check your emails, browse the internet, view your Facebook, use Google Maps or do any other data required activity, we recommend renting either the Deluxe Rental or renting the iPhone. Along with 500 minutes of outgoing calls to Spain or the US, both of these smartphone options offer 1GB of high speed data. Please note that if your trip exceeds 30 days, you will need to add an additional 30 day bundle of service (500 minute and 1GB of data when renting a smartphone). Each 30 day bundle of service costs $39 in addition to the rental fee. A popular option is the US number add-on. This will give you a US phone number in addition to the Spanish number already associated with your phone rental. The advantages of having a US number are several. First, it makes it affordable for callers from North America to reach you and second, it gives you the option of forwarding your usual North American number to the new US number so that you will seamlessly receive all your calls. If, however, you plan on a bit of relaxation while traveling to Spain, you can just give a select few friends or associates your new cell phone number. Each 6 hours of incoming calls on the US number costs just $19 while incoming calls on the Spanish number are always free. You can use your Spain cell phone rental anywhere else in the European Community without incurring roaming fees. The only requirement is that you initially use your rental in Spain before traveling elsewhere in the EU. Ordering a cell phone for your trip to Spain is easy. You can order online or speak to one of our expert advisors at 1-800-287-5072 and they can place the order for you. Time permitting, we deliver the Phone Rental 2 business days prior to you departure using UPS or FedEx. We can deliver the following day (except Sunday) for those with immediate departures. If you order 2 weeks or more prior to your departure date, you can order ground shipping . You will receive a fully charged Rental Phone with a Spanish phone number, a US phone number (if requested), complete with a convenient travel pouch and international chargers and plug adapters and simple instructions. Your rental also includes a prepaid return label. If you have any questions, please call us or email us. The call rates are simple; you get 500 minutes of calling (per 30 day period) to make calls within Spain or back to the USA. All incoming calls are free from anywhere, even if you exceed the initial 500 minutes of outgoing calling. You also get 100 text messages within Spain and free incoming text messages. If you rent a Deluxe Phone or an iPhone, you will also have 1GB of high speed data. Please note that there is no texting to the USA. You can, however, receive texts messages. Your rental phone will roam outside of Spain. You will need to If you plan on taking short trips within the EU, perhaps a day or two in Portugal or France. Rates are not bad as long as you do not call back to North America.Roaming rates for the Spain Rental are as follows; outgoing calls within the EU are 0,23 €/min, incoming calls are 0,06 €/min. However, calls to the US or Canada are 3,15 €/min. Data usage within the EU is 0,24 €/MB. You will have 500 minutes of call credit to make outgoing calls within Spain or back to the US. All incoming calls are free. How much data will I have? $19.00 for initial talk-time voucher (1 per phone). Yes, you can charge the phone in Spain or anywhere else for that matter. We will include plug adapters.